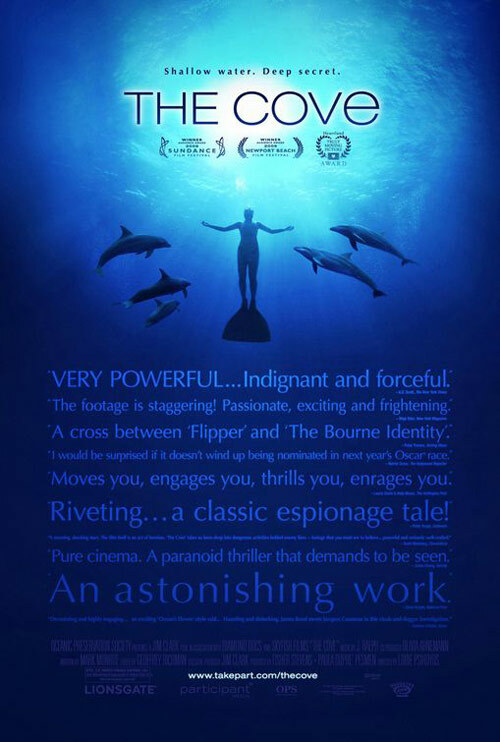 The Cove : Documentary about Dolphins being Hunted ! 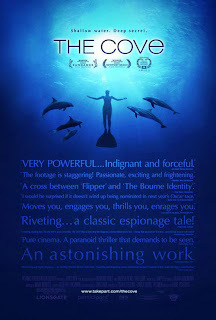 "The Cove" is a rather shocking, eye opening documentary on dolphins and their annual hunting in Taiji, Wakayama Japan. Utilizing state-of-the-art techniques, including hidden microphones and cameras in fake rocks, the team uncovers how this small seaside village serves as a horrifying microcosm of massive ecological crimes happening worldwide. The result is a provocative mix of investigative journalism, eco-adventure and arresting imagery, adding up to an unforgettable story that has inspired audiences worldwide to action. 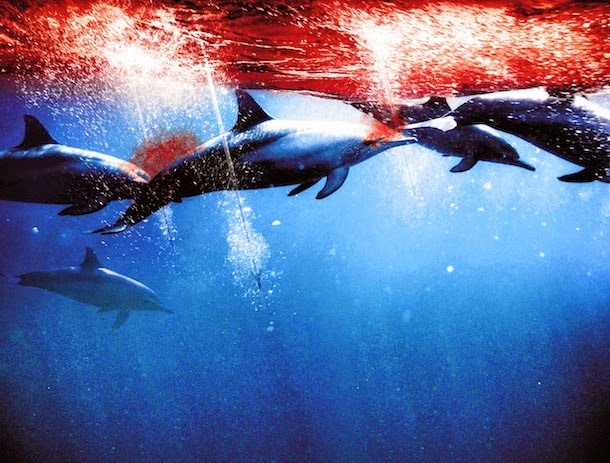 'THE COVE' is directed by Louie Psihoyos and produced by Paula DuPré Pesmen and Fisher Stevens. The film is written by Mark Monroe. The executive producer is Jim Clark and the co-producer is Olivia Ahnemann.